The Ooni of Ife, Oba Adeyeye Ogunwusi has once again denied that he has any problem with the Oba of Lagos, Rilwan Akiolu. 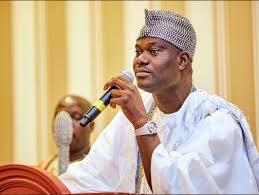 Ogunwusi spoke yesterday in Port Harcourt, on a day fire incident broke out in Oba Akiolu’s palace. The Ife monarch made it clear that they have had a good relationship for years and insisted the media were blowing it out of proportion. “We did not have a problem. It is being overblown by the media. Like I said, I respect him. I had a relationship with him when I was a prince and when I was an entrepreneur in Lagos. I will continue to respect him. “It is very unlikely that you will see a successful Nigerian that has not passed through Lagos. So, give honour to whom honour is due,” he said. The Ooni also congratulated the government and the people of Rivers State, for the peaceful relationship with the Yoruba community in the state. He said: “It is to the glory of God that we landed in Port Harcourt to celebrate with the people the 50th anniversary of the state and to celebrate one Nigeria and one country. Our major objective is to continue to foster peace. “I am going to meet with the amiable governor; the number one citizen of the state and the good people of Port Harcourt for us to know that we are all one. I also thank God Almighty for making the state very active and still waxing strong. “The state is 50 years and by the special grace of God, there will be many more years of prosperity. Another beautiful thing that actually made me very happy is that I saw a lot of Yoruba that came to welcome me.